I really could not care less that Snakes on a Plane is coming out tonight, and I was tired of the meta-self-referential hype before the hype was even cool, but it did at least inspire me to make this gem in Photoshop. Enjoy and share liberally. 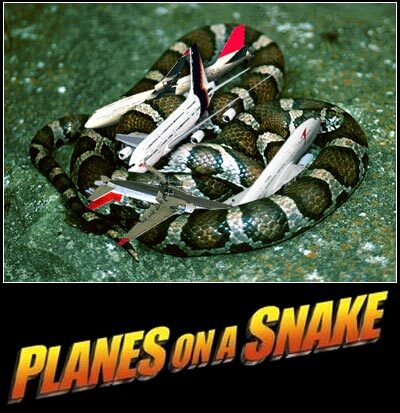 Also see more Planes on a Snake, and the sequel movie trailer.